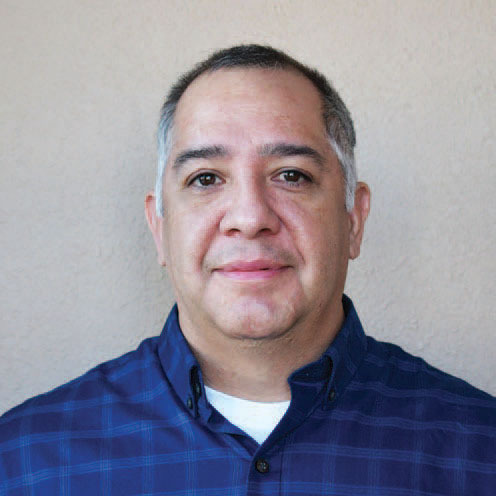 SDCEA Welcomes Joel Garza – Sangre de Cristo Electric Association, Inc.
SDCEA welcomes Joel Garza, who moved to the area from Blackwell, Oklahoma, where he worked for Kay Electric Cooperative. Joel accepted the staking technician III position in the Buena Vista office. Garza grew up visiting family in central Colorado and loved all the outdoor activities this area has to offer, as well as the laid-back culture of the mountain commu­nities of this region. “Having the opportunity to work and play in the place I love is a dream come true,” Joel said. Joel’s arrival coincided with significant snowfall in the area, which creates unique field visits. “I never had to snowshoe in to a site visit in Oklahoma, so that’s interesting.” Garza said.